How many times do you eat cruciferous vegetables a week? We know vegetables are good for you, but these cruciferous vegetables are super healthy for you. Apparently, you need to eat them 5 days a week to get health benefits. It doesn’t mean you have to chew on cabbage every day. You can choose from broccoli, kale, bok choy, brussel sprouts, kohlrabi and cauliflower. Studies show that glucosinolates in them may reduce the risk of certain cancers and reduce inflammation. Brussels sprouts are shown to have the highest concentration of glucosinolates (104 milligrams per half cup), as well as plenty of anti-inflammatory vitamin K. I like having refreshing raw salads, though feel free to quickly cook in a pan with coconut oil if you prefer that way. 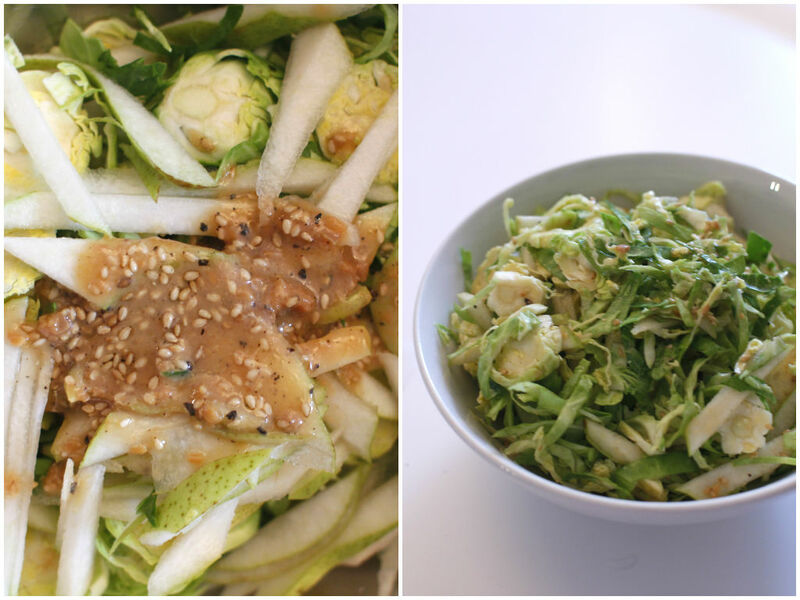 Asian-y dressing made of miso, tahini and sesame oil is delish! You want this salad to sit an hour or more before serve so that you get a good harmony of crunchy sweet salad and beautiful dressing. 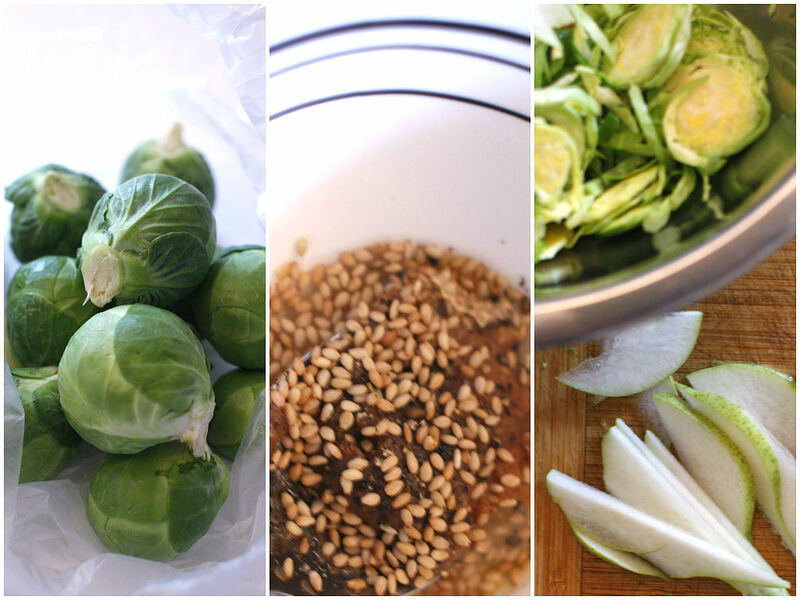 Thinly slice brussel sprouts and pear or use a food processor. Simply mix all dressing ingredients in a small bowl. 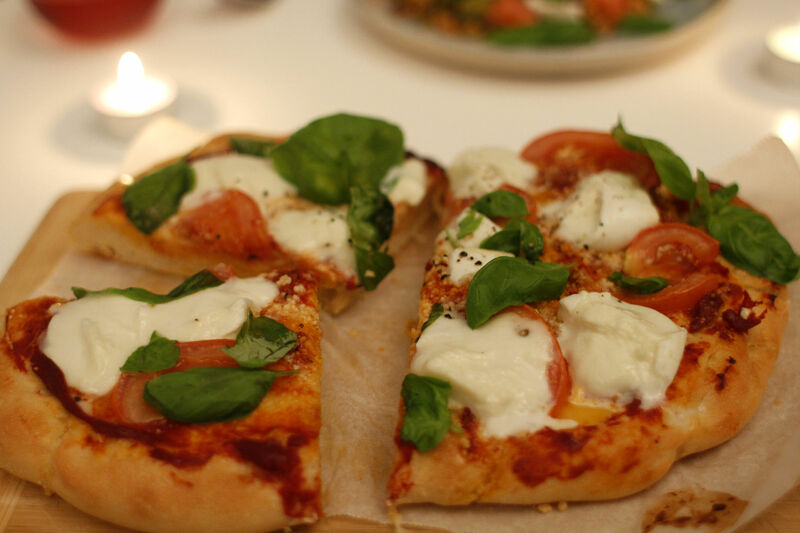 Combine shredded salad and dressing in a large mixing bowl and transfer to a serving plate.